PARAMARIBO, Suriname, CARICOM - A 43-year-old truck driver from Suriname whose only name was given as Shailindra attempted to kill himself in a lockup there on Sunday, January 20, 2019. 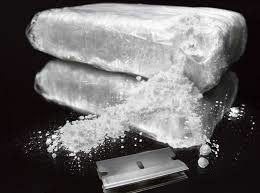 The suspect was one of at least 10 persons who were detained in connection with a 2,300 kilo seizure in Suriname earlier this month – the biggest ever drug bust for that neighbouring country. The suspect was being held in a cell of the police’s Narcotics Department. He reportedly slashed his wrists with a razor. However, he was found in time by officers and rushed to hospital and later released back into custody. Suriname police said that his condition is stable. They were yesterday making plans to transfer the suspect to another location to better monitor him. He would have been among those arrested in connection with the coke seizure at the Jules Sedney Port, Paramaribo. Also arrested over the weekend was a forklift driver. A Customs officer, broker, and several top officials in Suriname are reportedly also in custody. The case is of interest to Guyana as just recently, a Suriname rice exporter, wanted for questioning in the seizure, was found dead on the Number 63 beach, Corentyne, with a single gunshot wound to the head. Nitender Oemrawsingh was said to be the owner of Nivash Rice. What the businessman was doing in Guyana is still being investigated. The cocaine was stashed in an eight-container shipment filled with rice, awaiting loading at the harbour. The shipment was destined for France, through Guadeloupe. Security workers of the port stumbled upon the shipment during their regular controls. They alerted the Narcotics Brigade of the police, in Suriname. The rice was said to be from Oemrwasingh’s factory.